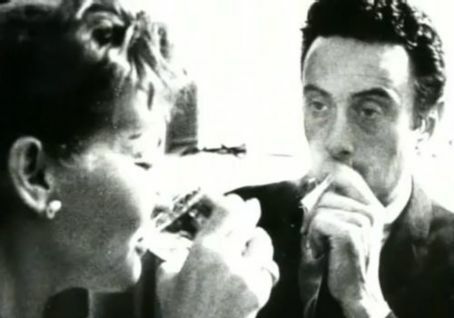 In the early 1960s, the comedian Lenny Bruce got busted for obscenity doing an act that sounds G rated by today’s standards. There were other “dirty” comics back then. Bruce, however, interjected politics and social commentary that threatened the establishment. After years of police persecution, his biting satire turned bitter and paranoid. 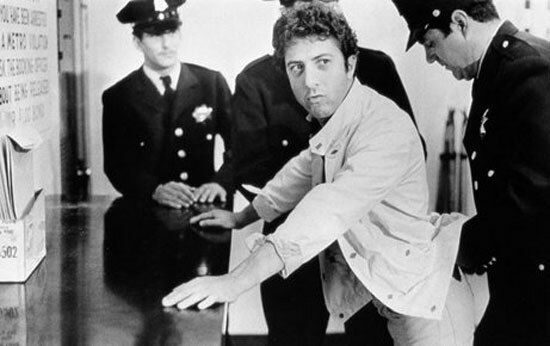 With Lenny (1974), directed by Bob Fosse, Dustin Hoffman wisely doesn’t impersonate Bruce. He does nail the trademark onstage speech patterns, especially in the way Bruce riffed like a jazz musician when he performed. Best known for Cabaret (1972) and All That Jazz (1979), both of which he also choreographed, Fosse is effective in capturing the energy of the nightclub sequences. 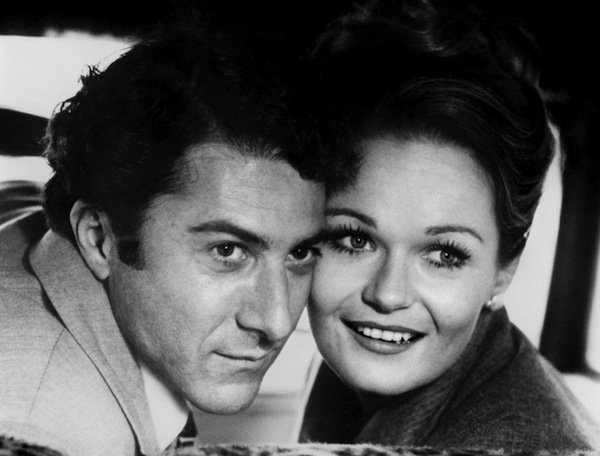 In his onstage interview with Alec Baldwin, Hoffman praised his co-star Valerie Perrine and noted that she resembled Bruce’s wife, whose strip tease stage name was Hot Honey Harlow. Julian Barry adapted Lenny from his own play. The film’s somewhat thin plot revolves around the couple’s domestic squabbles. Featuring music by Miles Davis, it’s an atmospheric and melancholy film. The black-and-white cinematography of Bruce Surtees, a frequent Clint Eastwood collaborator, enhances the period feel. The screening filled the 600 seat Egyptian. A skilled interviewer who hosts WNYC’s “Here’s the Thing,” Alec Baldwin began by saying that Lenny was his introduction not only to Lenny Bruce but to Bob Fosse and the music of Miles Davis.The wide ranging conversation covered acting, directing, comedy, and everything in between. Here he introduces Dustin Hoffman as the rare actor “who can transform himself physically, emotionally, psychologically, to inhabit a character.” More is available on youtube. This entry was posted in Events, Movies and tagged 2015 TCM Classic Film Festival, Alec Baldwin, Bob Fosse, Bruce Surtees, Dustin Hoffman, Honey Harlow, Lenny, Lenny Bruce, Miles Davis, Valerie Perrine by crimsonkay. Bookmark the permalink.